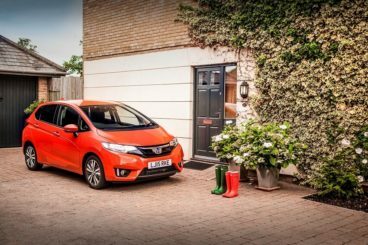 The new Honda Jazz Hatchback again puts the focus on practicality and is one of the most spacious family cars on the market. This makes it ideal if you’re planning on getting as much use out of it as possible, and always it’s really easy to access. It’s also really easy to drive, another quality which we all look for in this sector. Reliable, too, it’s in many ways the kind of understated hatch that doesn’t come around that often, but when it does it really sets the cat among the Ford Fiesta’s of this world. OSV takes a closer look at what it’s all about with our Honda Jazz Hatchback review. It’s not a sporty car by any stretch of the imagination, but it’s still a very good city runabout that is remarkably easy to drive. It lacks a bit of power, which means you will need to work the engine fairly hard to get the most out of it, but this is unlikely to put many people off. It feels sprightly around the town, and is able to absorb lumps and bumps very well. Ride quality is overall an improvement on last time around, and on the motorway the car certainly doesn’t wilt under the pressure of being out among the big boys for long stretches. Despite its compact dimensions, it’s very capable on the motorway. Somewhat disappointingly, there is only a solitary engine to choose from – a 1.3-litre petrol unit that can deliver up to 101bhp. You can pair it up with either a CVT automatic ‘box or a six-speed manual, and it needs to be revved hard in order to give all that it’s got. It’s a smooth enough operator at speeds, but if we had to recommend one of the two transmissions we’d go for the standard manual as it’s slicker and easier to live with. The CVT might be cheaper to run, but it makes a lot more noise. Still, it’s all about priorities, and the manual stick as its flaws, too. For example, it has a rather short gearing from 1st to 5th, which means you’ll be switching gears regularly when you’re out and about in town. There are rumours that Honda will eventually add a hybrid model, as well as a turbocharged petrol engine. The interior is roomy and comfortable, and doesn’t look entirely dissimilar to the Honda Civic Hatchback’s. Thanks to the addition of more soundproofing, it’s a lot quieter than its predecessor, while the tweaked suspension setup ensures more comfort. The dash is clean and user-friendly, with Honda preferring a more minimalist, simplistic approach to the SUV’s. The EX model benefits from a touch-sensitive climate control, while a touchscreen infotainment and navigation system is a highlight. Most of the plastics are of a sound quality, and the cabin looks well built. But seek low-rent plastics and you could find it, especially lower down. Upmarket is one thing this cabin is not. The Jazz has always put practicality before anything else, and it does so again here. There is a wealth of interior space, the seating arrangement is versatile, and the boot is huge. The steering wheel and driver’s seat are both adjustable, while storage spaces include a pair of large cup holders and a good-sized glovebox. Head and legroom is better than good, both upfront and in the back, with the brand proudly stating that rear seated passengers have as much legroom as they would if they were in a big German luxury saloon. The Magic Seats catch the eye. Versatile, you can flip their bases for more luggage storage or lie them totally flat. The boot measures 354-litres, but can be extended to 1,314 if you fold the rear seats flat. The car is reasonably well equipped across the range, with the S trim getting automatic headlights, air conditioning, cruise control, and the brand’s active city brake safety kit. The SE model adds 15” alloys, electric door mirrors and all-round parking sensors, while SE Navi chucks in a Driver Assistance safety pack. The EX models, meanwhile, get 16” alloys, automatic climate control, keyless entry and a better stereo system. There aren’t all that many pricey optional extras to choose from, but we suggest that you take a good look at the £600 button-less Garmin satellite navigation system. You can also choose from a range of different paint colour options, including metallic orange. Prices for the new car start out from £13,500 and rise to £17,700. If you prefer to lease, you can pick up a deal from as little as £120 + VAT per month. In terms of running costs, the solitary engine on offer does okay, but if it really wanted to match the figures given out by its rivals, the Jazz will need to add the rumoured hybrid and turbocharged petrol variants soon. Still, although there is only one petrol engine available, you get to save some money by choosing whether to pair it up with the manual or the automatic transmission. The specification will also dictate how much it costs to run, as extra technology also means extra weight. If efficiency is a priority of yours, it’s a better idea to hook the 1.3-litre petrol unit up to the CVT automatic ‘box instead of the manual, as it will achieve average returns of 61.4mpg. Pairing it up with the six-speed manual transmission will see those numbers dwindle to 55.4mpg. Insurance groups are yet to be confirmed, but we expect the Jazz to occupy group 15 in its most expensive trim. It’s important that our family cars are reliable, and this one from Honda most certainly is. Honda has for a long time had a good reliability record, and the new Honda Jazz 2016’s predecessor was named most reliable car of the year by CarBuyer. Plenty of safety kit should give you lots of peace of mind. You get the usual, such as electronic stability control and a few airbags, as well as collision warning, lane departure warning and traffic sign recognition if you move up the trims. There is over 110mm more legroom on offer, while more space for your shoulders is available, too. And Honda reckons you get more knee room in here than you do in the Mercedes S-Class. No diesel and only one petrol engine means you’re not spoiled for choice. It’s a competent enough performer and suits the hatchback well, but more to choose from would have been welcome. Maybe other engines might have made it more entertaining, but as it is you’ve got a willing and competent 1.3-litre petrol unit that feels as though it’s struggling to shake off a cold at times, and which needs to be revved hard if you’re to make much progress. Let’s see how the car measures up against its rivals in the comparison section of our Honda Jazz Hatchback review. The new Toyota Yaris Hatchback is reliable and practical, and doesn’t cost too much to run at all. Meanwhile, it’s hybrid version is the best-in-class when it comes to efficiency. 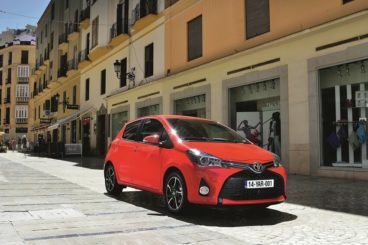 The new Yaris Hatchback 2016 offers a hassle-free driving experience that can turn on a sixpence in the city. It’s easy to park and squeeze past cars in traffic jams, while the steering inspires confidence as you tackle bends. At speed, however, it does begin to feel a bit vague. The engine range kicks off with a small 1.0-litre petrol unit that is a bit underwhelming, and which takes 15.3 seconds to get from rest to 62mph. The 1.33-litre petrol engine is a smarter choice if you’ll be running up and down the motorway often, while a 1.4-litre diesel unit is the quickest in the range, taking as it does just 10.8 seconds to cover the 0-62mph. And if truth be told, it actually feels even quicker than that. The hybrid is impressive, but its noisy CVT automatic box lets it down somewhat. It’s fairly quick, but it does cost significantly more to buy than the petrol’s. However, it’s free from London Congestion Charge which makes it ideal if you’ll be commuting back and forth to work in the Big Smoke. It can achieve average fuel economy of 85.6mpg, and doesn’t cost anything to tax. But really the whole range does well when it comes to running costs. The 1.4-litre diesel unit is free to tax and can average returns of 80.7mpg, while the 1.33-litre petrol unit is good for 57.6mpg. The Yaris isn’t the quietest car on the market today, but the hybrid is easily the noisiest. That aside, it’s more comfortable than last time around, thanks to a more rigid structure and softer suspension. 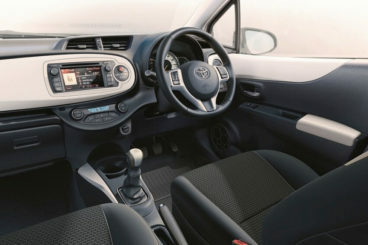 The driver’s seat and steering wheel are both height-adjustable in all models, while the cabin is overall well built. It doesn’t use as much high-quality materials, and scratchy plastics aren’t hard to spot. You can get the car in either three or five-door form, but neither can match the Jazz when it comes to rear seat space. Access to the back is not easy either, because the doors don’t open all that wide, but space up front is good. The boot, meanwhile, measures 286-litres but a tall load lip makes it pushing bigger items over awkward. 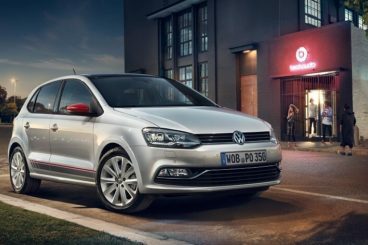 The new Volkswagen Polo Hatchback is spacious, comes with a good amount of standard kit, and feels very high quality inside. Along a straight road, the Polo Hatch 2016 is impressive, being quiet, composed and comfortable. However, it’s when you take it on a more twisting road that it comes a bit undone. The light steering can make you feel anxious, while there is lot of body lean in bends. The 1.0-litre petrol engine might be attractively priced, but it’s as budget as they come, and takes a sluggish 16.5 seconds to get you from rest to 62mph. As such, you probably shouldn’t attempt an overtake on an A-road. A turbocharged 1.0-litre feels much more like it, and has enough power to cover the 0-62mph dash in just 9.3 seconds while delivering up to 108bhp. It’s punchy and very capable. A turbocharged BlueGT petrol, meanwhile, covers the same distance in 7.8 seconds, while a GTI model is quicker still. The diesels aren’t as fast, but they are economical. A 1.4-litre 89bhp variant, for example, can achieve average fuel economy returns of 83.1mpg and costs nothing to tax. 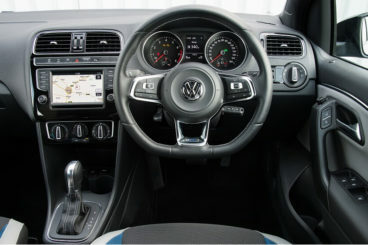 But even the petrol models won’t smash your family budget, with the 1.0-litre turbocharged TSI model good for 65.7mpg. It’s also exempt from road tax. One area where the Polo outdoes the Honda Jazz is the interior. All the materials here are of a high quality, while fit and finish is excellent. It’s also super comfortable, and is the standout cabin in the class. The design is conservative but slick and modern, with a minimalist centre console a highlight. Everything is well laid out so that you don’t get a headache trying to figure things out on the move. It’s also a reasonably practical car. The interior is spacious, visibility is good, and it’s easy enough to park. You can get it in either three or five-door form, with both offering plenty of rear head and legroom. Access is easy thanks to wide-opening doors and front seats that slide forward, while storage space is plentiful. The boot measures 280-litres, which makes it smaller than the class-leading one in the Jazz. 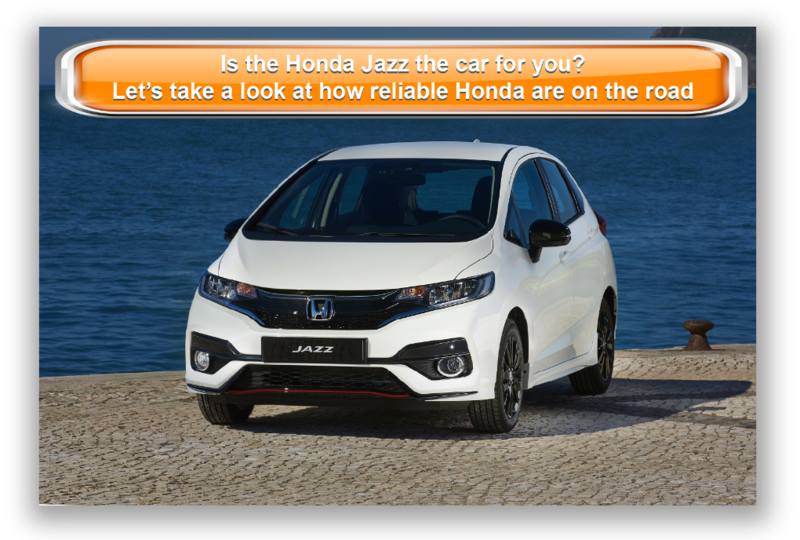 The Jazz has historically been snapped by older folks, but Honda are also marketing it towards younger people this time around. As such, the styling is fresher and there is more high-tech among the standard kit. 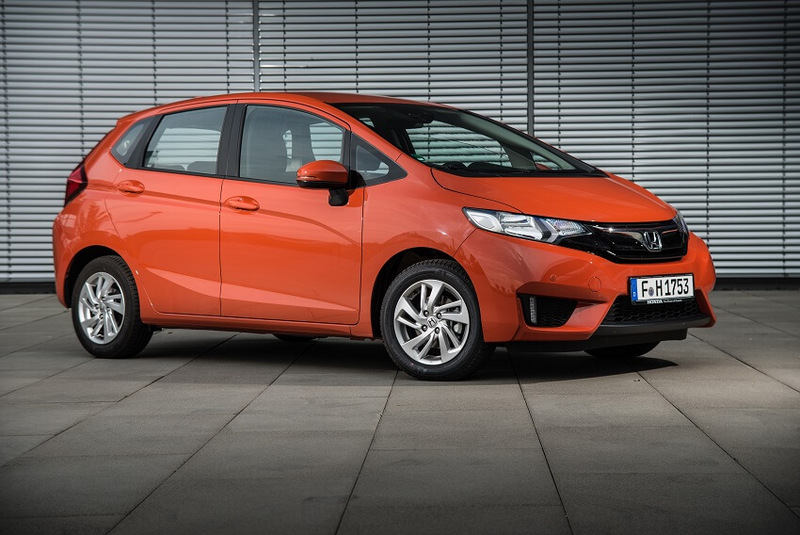 While it won’t set any pulses racing, the new Honda Jazz Hatchback is reliable, practical and safe – what more do you really want?